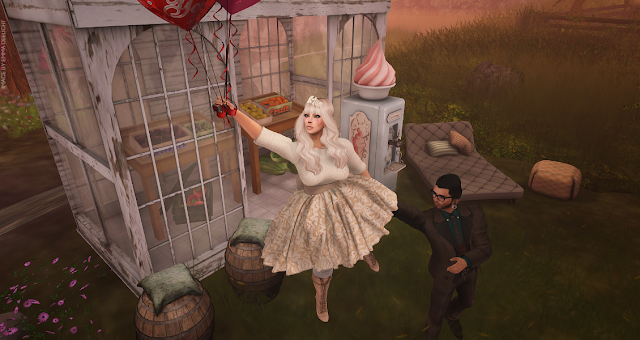 Today I am featuring Chambre Rose, plus free couples pose from Luanes World @ Pose Lover Event. The stunning dress, an original creation, from Chambre Rose is currently available on the Marketplace for a special promo price. The dress is made for Slink, Belleza, Maitreya and a Fitmesh version. Plus you get tiara of flowers and bunny ears. The adorable couples pose prop from Luanes World is a free gift @ Pose Lover Event. You can adjust the pose as needed. To get your gift join the Pose Lover Event group and collect from the table at the landing point.